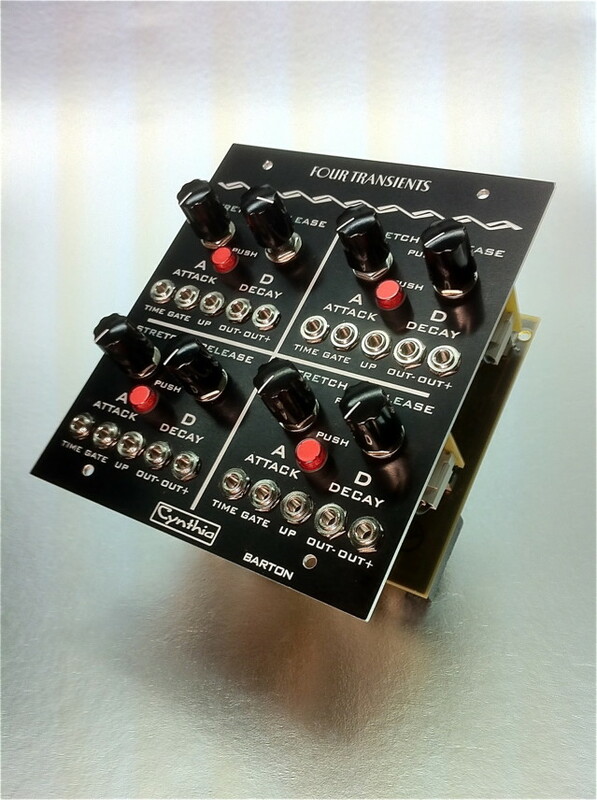 FOUR TRANSIENTS ARE NOW SHIPPING! Good we see a front panel photo and a peek at the PCB, etc? (There is also a 500 word explanation of the details of the module). CyndustriesHere are pix showing the front and the back. 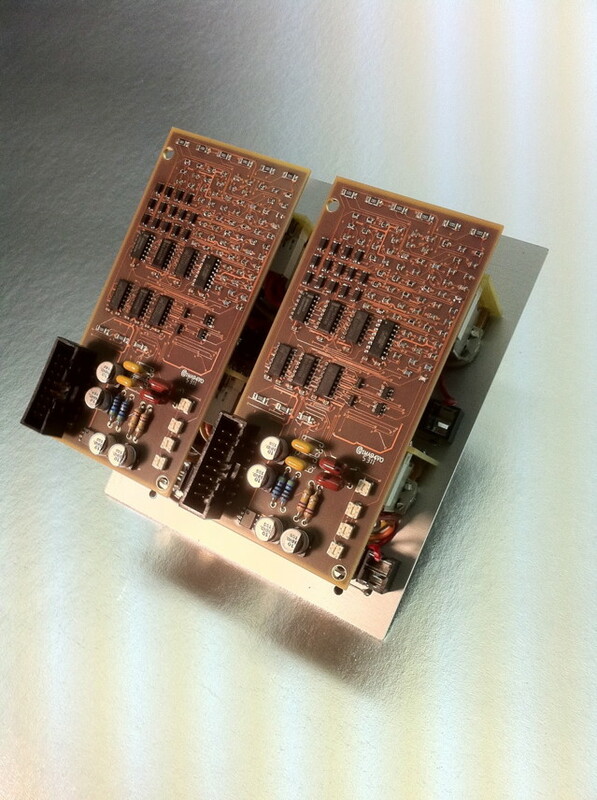 All of our new modules are standard with Euro Power Connector in back. A ribbon cable connects the two boards together and then terminates in a special Euro to Frac 4-Pin Power Connector adapter. The pushbuttons have LEDs in them to show just how each Transient is behaving. The text talks about a "Pulse" out but the FP has an "UP" out. I'm confused! Otherwise, clever stuff! Nice photo, I like it better than the graphic. to match the front panel. Cynthia, Is the Four Transients still available? Those picture you posted are the only once I have ever seen! There much better than what is on your website. the post is from 2012. cynthia and cyndustries is largely done and over though apparently people clicked through some purchases and paid for things w/o any reply from cyndustries. see these threads or just search for "cyndustries"
Ah yes, good catch. That Four Transients at ctrl-mod is Euro.